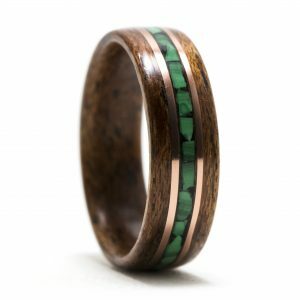 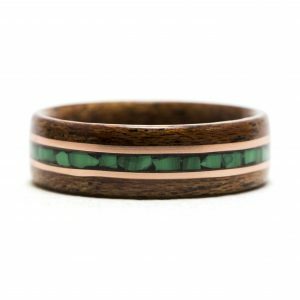 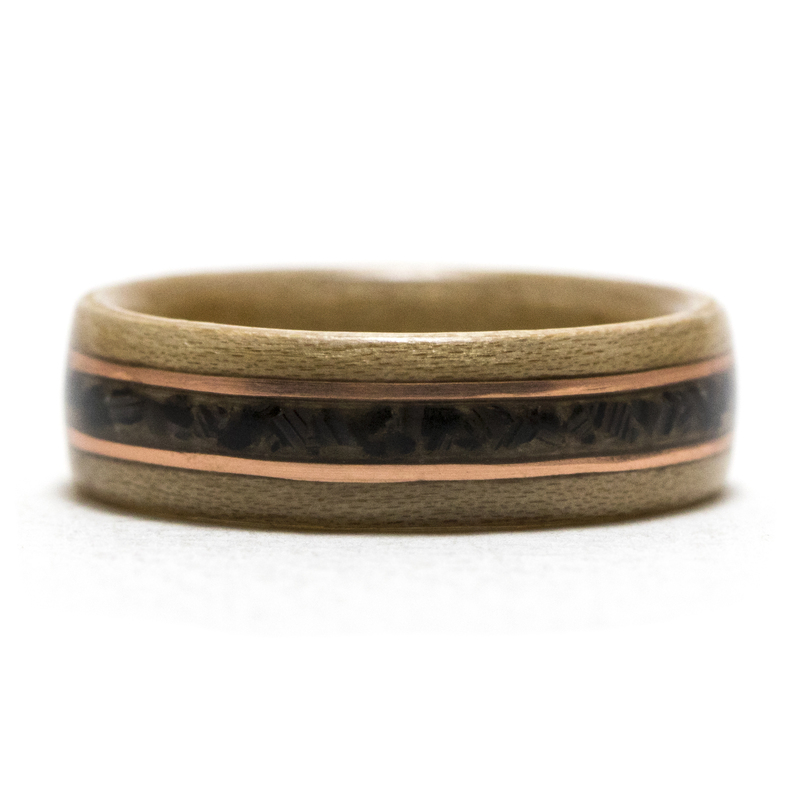 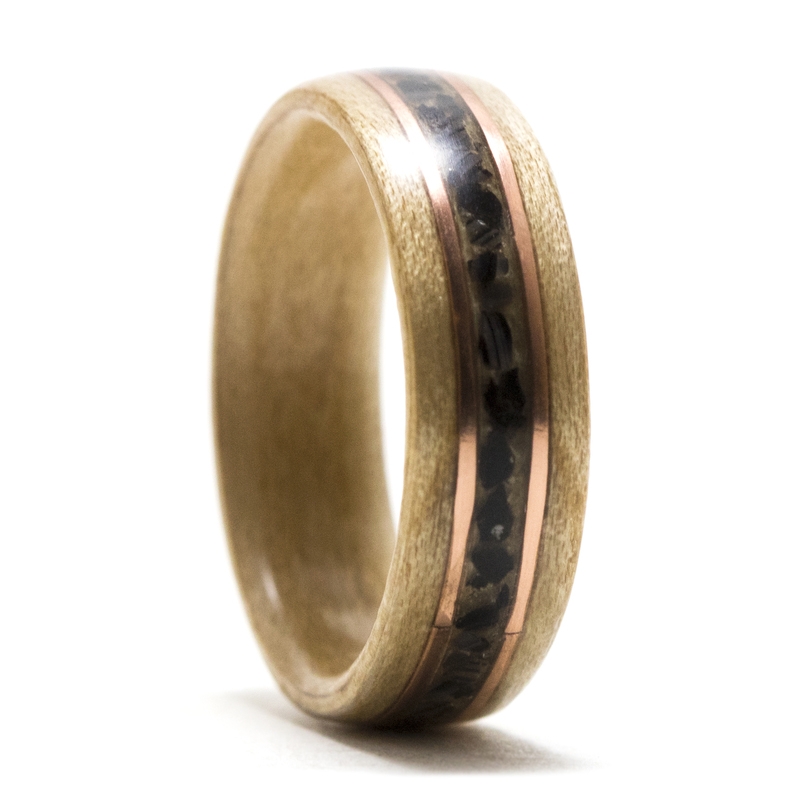 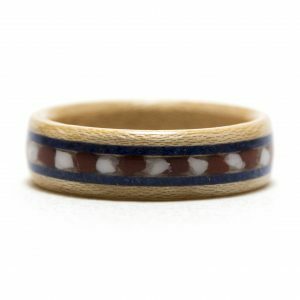 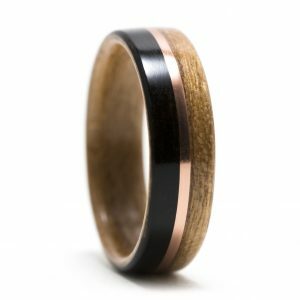 The copper inlay along with the black agate stone compliment each other in this maple wood ring. 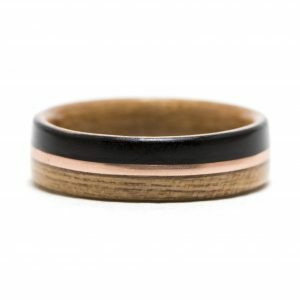 This maple bentwood ring with copper and black agate inlay is made to order using your specific width and ring finger size. A protective finish is applied to provide extra strength and durability.